Cul-de-sac Charmer in Fabulous Fairfield Woods Neighborhood! 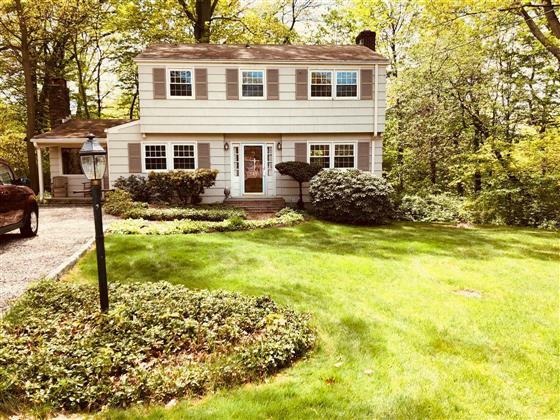 Enjoy the scenic streets as you approach this charming colonial near all the amenities on Black Rock Turnpike and minutes from Lake Mohegan and the Merrit Parkway. The home features a front-to-back Living Room with fireplace, Family Room with fireplace, vaulted ceiling, and sliders to the back deck, Eat-In Kitchen with granite countertops, four upstairs bedrooms, one and a half baths, and full walk-out basement. Lovely property on the cul-de-sac with privacy fence and wood deck in the back. Fresh paint in Study/Dining Room and all Bedrooms. Get into this adorable home and neighborhood now, and make them your own!